Beyoncé and Jay-Z shows the world that their love is STILL on top! The two renewed their vows and quieted all the rumors about their marriage being on the rocks! The rumor mill for Beyoncé and Jay-Z rarely stops spinning! We ALL know that because shortly after the issh went down in the elevator, rumors started flying EVERYWHERE that the superpower couple’s marriage was on the rocks. 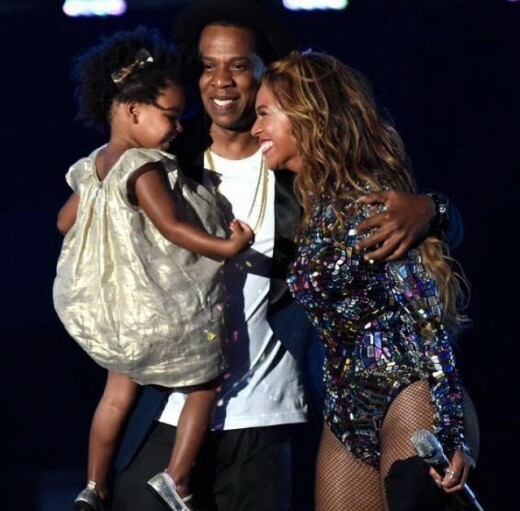 The biggest one, though, was concerned with alleged infidelity on Jay Z’s part which has been said to be the reason for the now-infamous elevator debacle. However, the two have been seen and photographed (by themselves and the paparazzi!) together constantly over the past few months as they’ve performed together on their mega successful “On The Run” tour and as they’ve seen the sites in London and Paris. And to really shut the breakup rumors down even more comes reports from sources that the pair have renewed their wedding vows! Obviously, Beyoncé and Jay-Z have yet to officially confirm that this ceremony actually took place. They also have not confirmed the other related rumor that King Bey is with child again! Either way, we are happy that it seems that the Carters are stronger than ever and one rumor we’d REALLY love to be true is that they are going to release an album together!